True or false: All dogs dig. Well, sort of true. 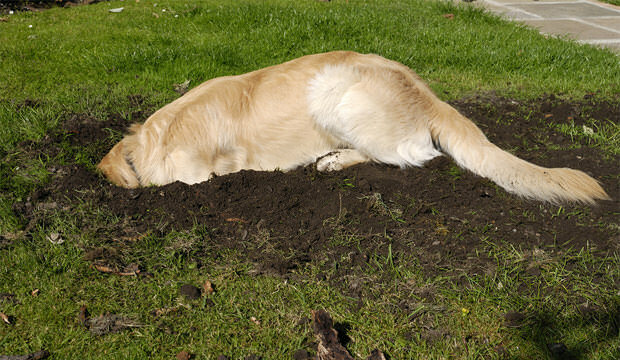 Dogs do come with an ingrained instinct to dig. But not all dogs take it to the point of being destructive. If your dog is digging holes that put a mole to shame, stop and think about whether you’re playing an unintentionally influential role. This goes back to the root of a lot of dog misbehaviors: rewarding the wrong thing. 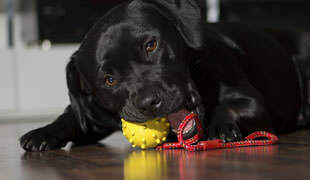 Let’s say your dog digs. You catch him in the act and call him to come to you. Having previously reinforced coming when called with a yummy treat, you think you’re rewarding him for coming to you. But he may be thinking something completely different. 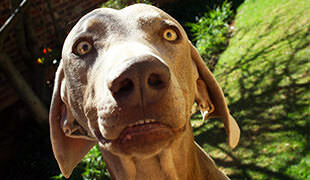 Fido may be thinking that you’re rewarding him for digging. That’s why it can be hard to correct the behavior. It’s easier to ward it off from the beginning. 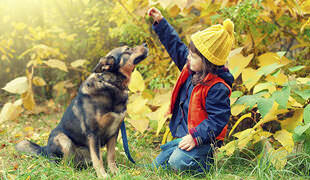 There are a few things you can do other than unintentionally rewarding Fido for digging. At one extreme, only let him out to do his business. Monitor his progress, and bring him in as soon as he’s finished. At the other extreme, set up a digging area by burying several of his favorite toys. This is part of the, “If you can’t beat them, join them,” mentality. Create a specific spot where he is rewarded for digging.